The conservative pundit will charge viewers for his new Internet channel, which launches this month. 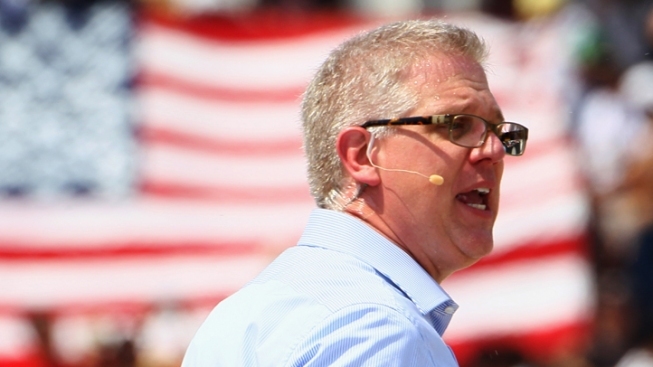 Would you pay $5 a Glenn Beck show online? The headline-making television host thinks so. Beck told The New York Times that he plans on charging that much for his new Internet channel, Glenn Beck TV, when he moves from Fox News to the web this summer. On Tuesday his multimedia production company, Mercury Radio Art, launched the Internet channel GBTV.com. "I think we might be a little early," Beck said of the new business model, which is an adaptation of HBO and Netflix models. "But I'd rather be ahead of the pack than part of it." Beck plans to have a variety of both scripted and unscripted entertainment. Despite his polarizing nature, the conservative pundit promised there'd be a little bit of everything in the daily two-hour program. The subscription also includes "original Glenn Beck Programming, news, documentaries, reality and behind-the-scenes shows," according to the website. "If you're a fan of Jon Stewart, you're going to find something on GBTV that you're going to enjoy. If you're of fan of '24,' you're going to find something on GBTV that you're going to enjoy," he told the Times. The new GBTV website features a promo trailer. Beginning with a child's voice, it is complete with quotes from founding fathers, images of Bill Clinton and Richard Nixon lying during the low points of their presidency, and concerned Americans asking questions like, "who can you trust?" According to Business insider, 80,000 people have already signed up. In order to make up the $2 million he is losing from his Fox Contract, he would need to gain 40,000 more subscribers. Beck is leaving the Fox News Channel on June 30 after two and a half years of tension with the channel's management.